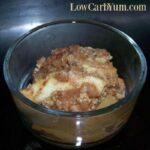 Apples are forbidden fruit on low carb, but this low sugar mock apple zucchini crisp recipe is a clever way to trick your taste buds when you crave apples. I have been staring at a large ball zucchini on our kitchen island for about two weeks. It was picked from our garden in the backyard and continued to sit while I cooked all the other summer vegetables. This week, we have been busy preparing for hurricane Irene which is forecast to hit Connecticut this weekend. Although we live a little inland, we aren’t far from the shore and they are predicting some heavy rain and storm surge. 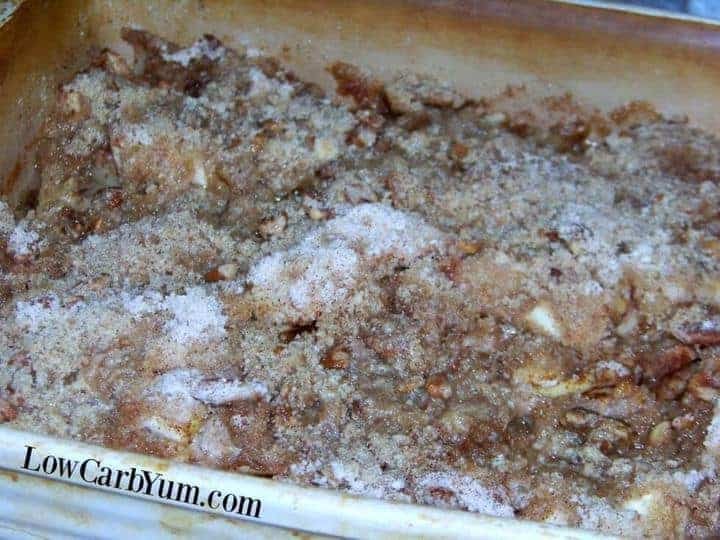 Anyway, I took a break from the storm preps this morning to bake this low sugar mock apple zucchini crisp recipe. The round shape of the ball zucchini was perfect for the crisp. This particular round zucchini looked like a small dark green pumpkin. It yielded about 6 cups of peeled and sliced zucchini; which was enough to fill the bottom of my 9 x 9-in. baking pan. I’m glad I saved that lone ball zucchini from our garden. It was well suited to make this zucchini crisp recipe. 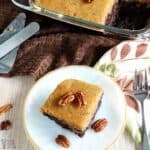 Since I have a jar of powdered xylitol that is getting close to the expiration date, I used that as the sweetener in the topping. However, Swerve or another bulk low carb sweetener would work fine as well. 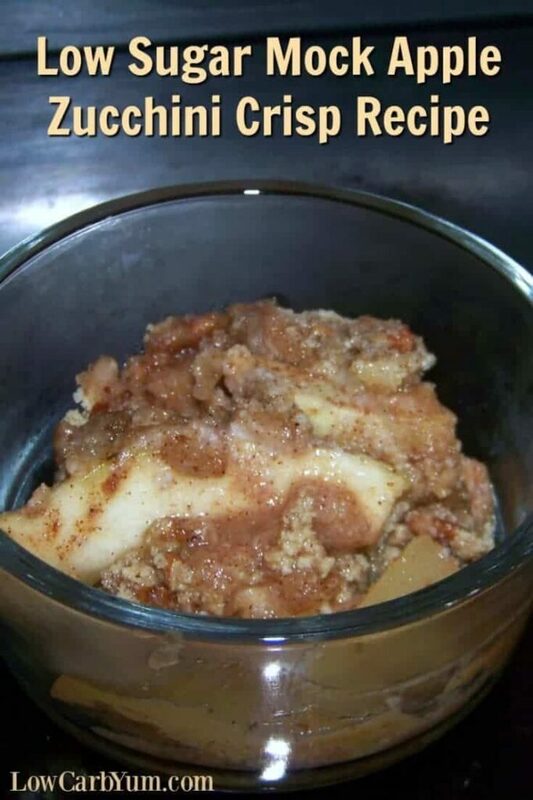 I have to tell you that this warm low sugar apple crisp really hit the spot. There was a container of CarbSmart ice cream in my freezer, so I added a little scoop of that as well. If you don’t have any ball zucchini, simply use a regular long zucchini. The taste is the same. It’s just a difference in shape. 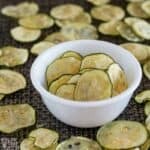 You could also make this zucchini crisp recipe with another low carb mock apple. 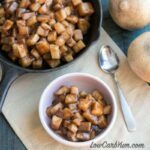 I’ve had success using both jicama and chayote squash. 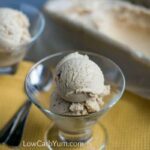 My low carb apple pie filling recipe using jicama is a wonderful side dish for breakfast. 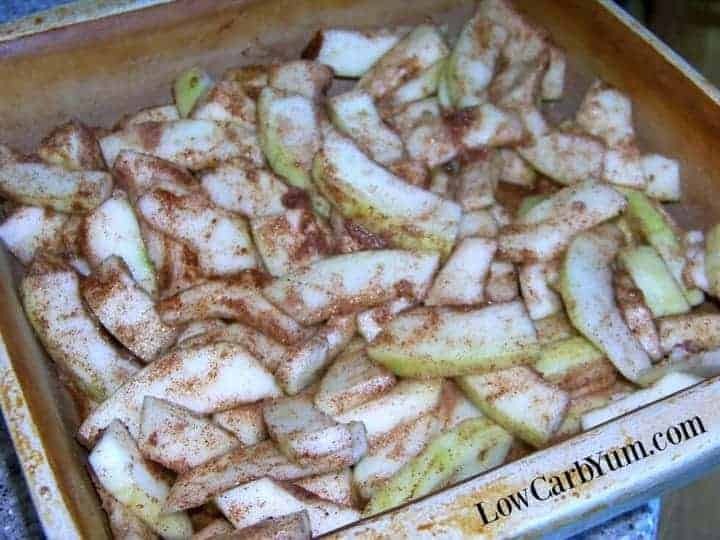 And, I have a wonderful low carb mock apple pie made with chayote squash. 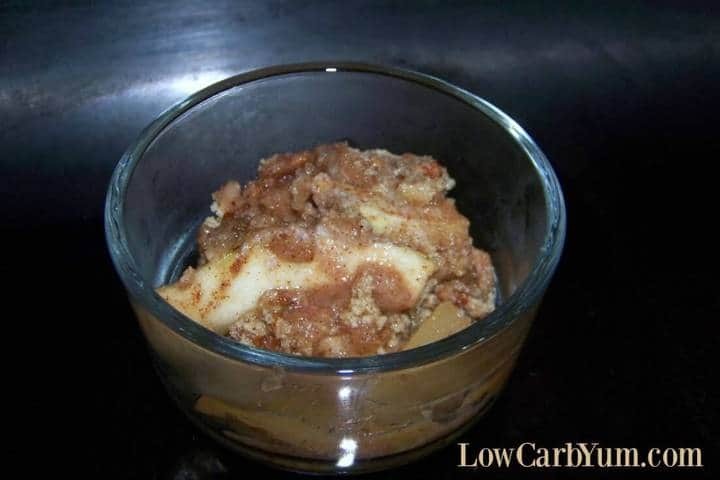 Overall, this low sugar apple crisp turned out to be a delicious low carb dessert. It’s definitely something that I will make again. 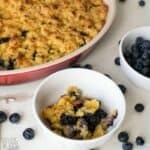 Apples are a forbidden fruit on the low carb diet, but this mock apple crisp using zucchini is a clever way to trick your taste buds when you crave apples. In medium bowl, combine zucchini, lemon juice, sweetener, cinnamon and nutmeg until well blended. 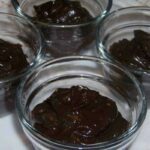 Pour mixture into a greased 9 x 9-in. baking dish. 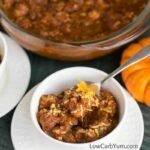 For topping, combine pecans, almond flour, oat fiber, sweetener and cinnamon in a bowl then cut in butter until crumbly. Sprinkle over the zucchini mixture. 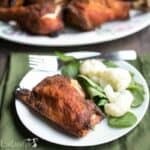 Bake at 350 F for 45-50 minutes or until zucchini is tender.